A healthy smile is so important, wouldn’t you agree? 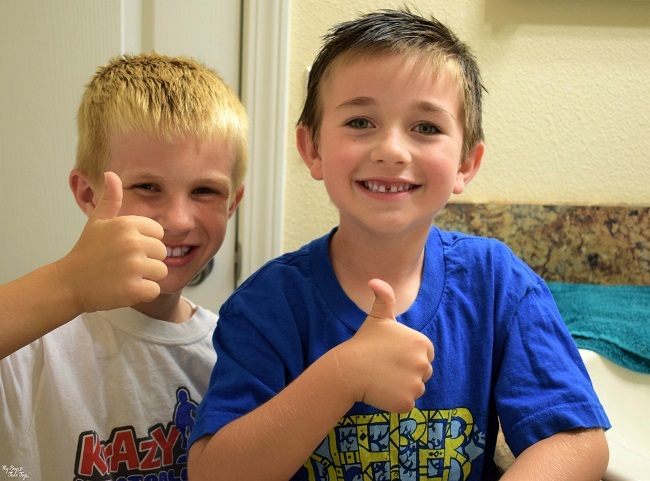 Parents – I know getting kids to brush their teeth can be a struggle. I’ve been there! A trick I found to be helpful when reminding my boys to brush, floss and use a kids mouth rinse, is humor. I place fun sticky notes on their mirror that get their attention. It really works too! 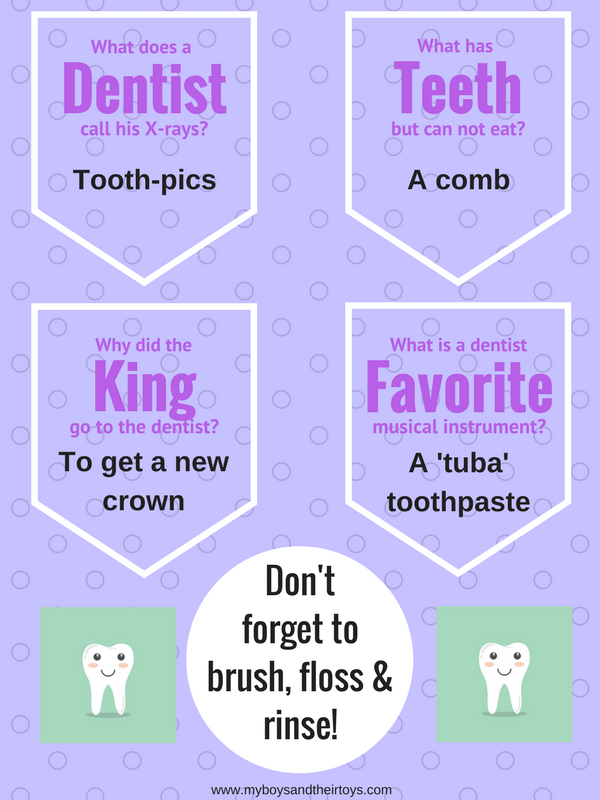 To get you started on a humorous way to a cleaner mouth, I’ve created this free printable of teeth jokes for kids. Simply click the image below, print, and cut out the jokes. Then tape the jokes on your child’s mirror to give them a gentle reminder about their oral care. 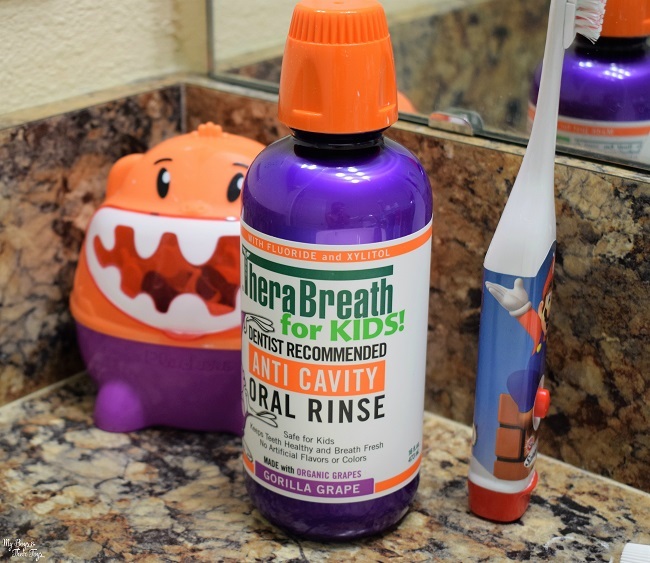 While we’re on the topic of kids and oral care, I wanted to mention one of our favorite products; TheraBreath for Kids! Oral Rinse. 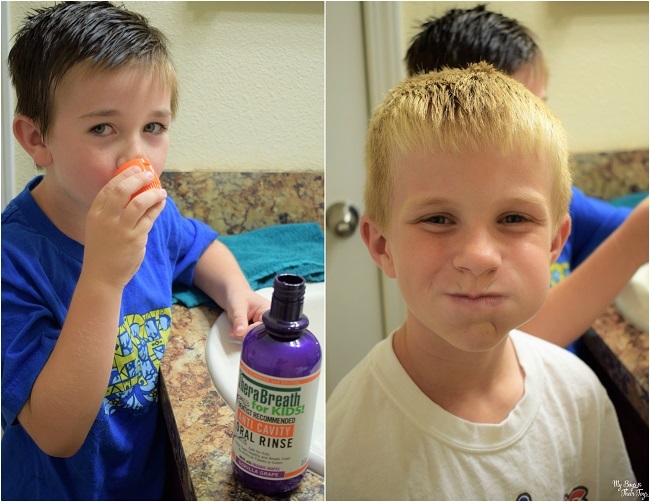 The new kids mouth rinse is made with real Organic Grapes (hence the bright purple bottle!) and sweetened with a touch of Xylitol, a natural non-sugar sweetener with demonstrated oral health benefits. This unique oral rinse is an improvement from the current products available for families with kids. Most competing formulas use Dyes, Artificial Flavors, CPC, or other ingredients parents find problematic. And TheraBreath for Kids! provides parents the demonstrated effectiveness of Fluoride too, plus it tastes great! o Taste great! Kids love it! Parents, right now you can save on TheraBreath for Kids! with this BOGO coupon. That’s right buy one, get one FREE! 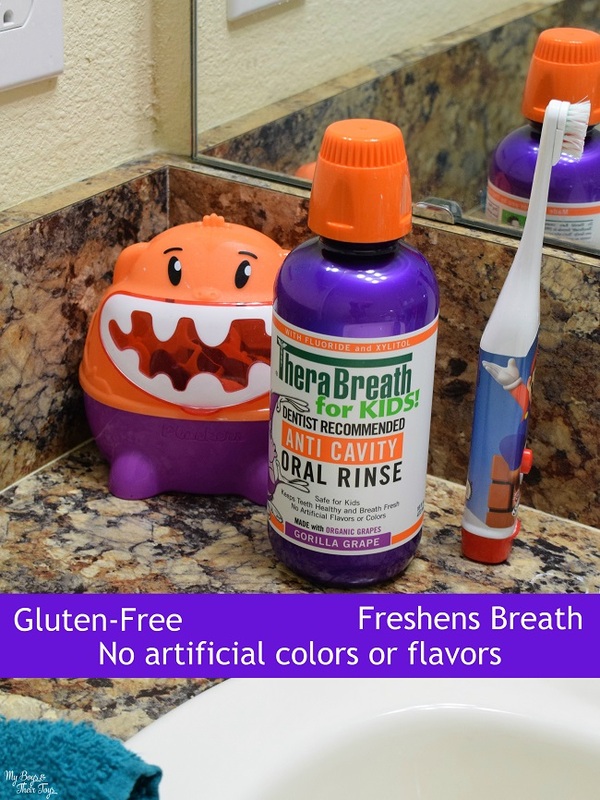 Find TheraBreath for kids mouth rinse at your local Walmart stores. Download the coupon now before they’re gone! Choose TheraBreath, a healthier and more natural product for kids. And don’t forget to print our teeth jokes for kids printable to keep your kids laughing. We want to celebrate those smiles!